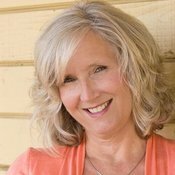 Susan Meissner is a multi-published author, speaker and writing workshop leader with a background in community journalism. Her novels include A Fall of Marigolds, named to Booklist�s Top Ten Women�s Fiction titles for 2014, and The Shape of Mercy, named by Publishers Weekly as one of the 100 Best Novels of 2008. A California native, she attended Point Loma Nazarene University. Susan is a pastor�s wife and a mother of four young adults. When she�s not working on a novel, Susan writes small group curriculum for her San Diego church. Visit Susan at her website.